Home › Life › ANSWER DISCOVERED 70 years later. Did Rhett Come Back to Scarlet? ANSWER DISCOVERED 70 years later. Did Rhett Come Back to Scarlet? 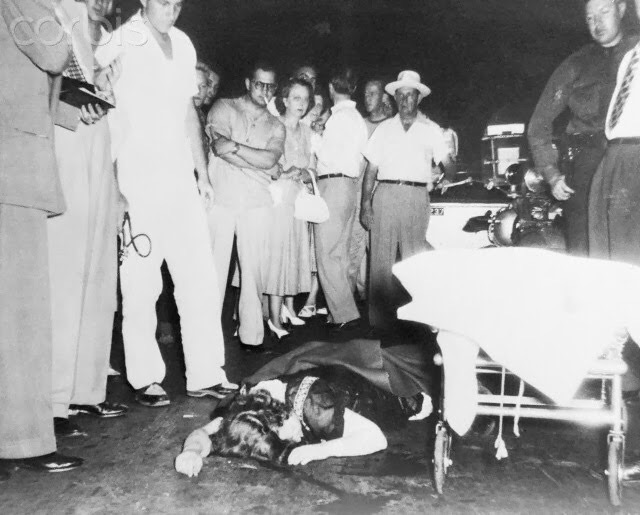 My Uncle Jim’s relative, Hugh Gravitt, while driving his Ford taxi, killed Margaret Mitchell as she and her husband John Marsh crossed Peachtree and 14th street in Atlanta Georgia in 1949. He was convicted of involuntary manslaughter and served 10 months and 20 days and spent that time on a chain-gang. Uncle Jim was very sensitive about the subject. There were other family members present as this somehow became the subject. The writer in me found it to be interesting to be distantly related to the reason Mitchell’s life ended before she wrote the sequel. What I didn’t know was the secret Uncle Jim’s relatives held and never told about the accident. I said; “I am linked to the reason no one will ever find out if Rhett and Scarlet ever got back together?”I was teasing my Uncle Jim. Mitchell’s book sold over 25 million copies and is only second in sales to the Bible, so who knows what her sequel would have sold. Left America with the question we thought we would never know…Did Rhett return to Scarlet? The look on Cousin Pat’s face seemed to suggest maybe I shouldn’t be teasing and it was a very touchy subject to Uncle Jim. I was kidding, but I began to see he was defensive about it and maybe there was more to the story. Maybe that’s why he didn’t reveal this or never mentioned it and I never knew till that moment. Didn’t have an interest till my Uncle Jim made me curious. Uncle Jim stated his relative suffered, never told his side of what happened, and refused to talk because the press, after all the all the lies about it being told and the man most hated in Georgia. The fix was in and they set him up. There was a picture taken in Gravitt’s jail cell after the accident of him smiling. He was a Georgia country boy and got suckered by the slick photographer who told him a joke then snapped the picture, as he smiled to make him a heartless man in all the papers. Im sure had it not been the famous Margaret Mitchell, he may not have served jail time and would not have been broken and destroyed. And then I found out what may be the secret to the story and Gravitt didn’t talk about it for fear of a longer sentence and or even death. He was not drunk or impaired. He was on his way to get the medicine. He was following another car that blocked his view of the two people in the crosswalk and didn’t see them until that car moved over the center line to go around them, and as soon as he saw them he crossed over the center line and sweved to avoid hitting them. They were not walking together as if a couple would toward the curb as the papers said, but were facing each other in the street lingering, oblivious to the danger. Then Mitchell appeared to be literally running backwards away from her husband after the first car missed them and into Gravitts’ car as he tried to swerved to miss her. Something was going on in that crosswalk between Mitchell and her husband. Something was going on and and they lingered in the middle of the street, facing each other and then Mitchell began retreating backwards from him after the first car missed them and right into Gravitt car. He said he should’ve missed her when he swerved. She was face down in the street for a long time and alive. Gravitt said her husband never touched her or comforted her or went to her and neither did anyone else except the medic when he arrived to take her pulse and hear her heart beats. No one turned her over, so Gravitt thought she was already dead. There is a picture showing Mitchell is still face down on the street, alive, and left there for a long time and her husband Marsh stands away from her and Gravitt is standing nearby. It backs up Gravitts account. As you know, Mitchell died four days later at the hospital. Gravitt was upset about how long it took for them to finally put Mitchell on a gurney and into the ambulance. Everyone was standing around talking about who she was while she remained face down on the hot summer street. Uncle Jim made me discover this broken down man. One brief moment and his whole life destroyed by an accident and the lies that followed to make a man a villain for life. There was a lot truth never told and frankly, no one gave a damn about this man. So the world can now have the answer if Mitchell lived and wrote the sequel. Mitchell would have shown Rhett and Scarlett back together, mended, and with all the beautiful cracks visible. All good writers know broken and mended are the best stories. Unfortunate one man lived out his life broken and the truth buried. My Uncle Jim put me onto this story that day, and it remained with me long after Uncle Jim passed away. Hugh Gravitt never read or saw the book or movie. More than likely he was the only person in Georgia who didn’t. He never was mended. Anything broken and mended with all the cracks to point to and see, is the real truth and real beauty. All good writers know this. ‹ The Jock And The Judge: Annapolis’ New Celebrity Royalty. Wow. Just wow. How did I miss this one? Bravo. you missed it because I under or over tagged it…lol….I am glad to be your best kept secret !